I recommend this book to readers who have read news articles about bitcoin and Tor and are looking for a deeper exploration of these "dark net" subjects. Bartlett does a good job of exploring these communities without getting too technical. “Bartlett combines an insider’s expertise with a neophyte’s tale of discovery. Rather than measure the pros and cons of the Web, he maps its frontiers without judgment. The result is a lucid inquiry into the relationship between technology and freedom that’s also a captivating beach book." A Best Summer Books pick by Kevin Nguyen, NPR's "On Point"
“A welcome deep dive into the anonymous Internet." “One of the truly indispensable works of nonfiction released in 2015." 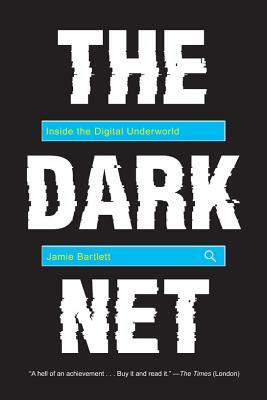 “It is Bartlett’s plentiful and fascinating interviews with the denizens of the dark net that make his book so compelling... Quite worrying, a bit disgusting, highly voyeuristic, and occasionally very funny: this is the nature of both the dark net and The Dark Net." “Bartlett is the ideal guide: capable and ever-ready to ferry the reader to the dark side of the Internet." “Fascinating...a provocative journey through the deep web’s history, its varied guiding philosophies, and the bizarre, iconoclastic, often criminal behaviors it conceals and energizes." “Bartlett doesn’t just tell us about the dark net; he also rips through the cloak of anonymity to let us meet some of its denizens... It’s a disturbing book, but it’s meant to be." “A provocative excursion to the darker side of human nature set free by the anonymous and unregulated boundaries of cyberspace."